Remember when your mobile phone was actually only a telephone? Can you still vaguely recollect life before texting, GPS location, and the never ending army of apps dictating your day to day events? Looking back it seems like a quaint memory that a person would carry around an iPod devoted exclusively to music through their bustling daily routines. However, the Digital Audio Player staged a comeback in the age of high-resolution audio, and Echobox Audio (based in Santa Barbara, California) is attempting to bring a new and fresh take to the paradigm. 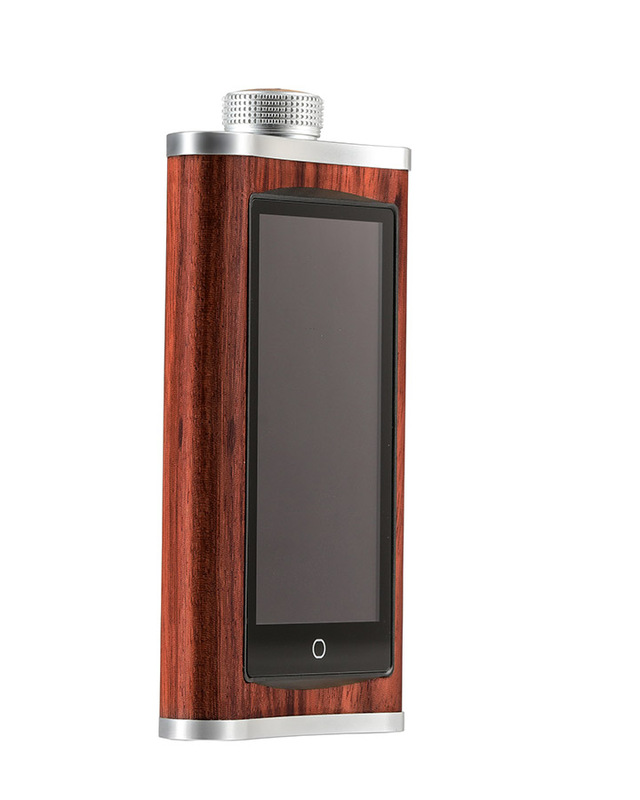 Echobox has proudly introduced a hip-flask styled portable DAP called the Explorer that is gently pressing against the ever-evolving market trends, which have prized combining devices over performance and functionality. With the Explorer, Echobox serves to remind a generation that values style and substance that exclusively dedicated mobile audio is still relevant in 2018, and worthy of finding a bit of extra space in your pockets and handbags. The Explorer isn’t in a rush to outpace competitors with a continuous rollout of new features and updates, but rather fashions itself as a steadfast carefully crafted and meticulously assembled device that has all needed features included for you to use for years to come. It is singularly focused on one mission: enhancing your listening experience (although looking good in the process isn’t far behind). Thankfully this direct and noble mission was not born in some corporate marketing focus group atop a 60-story ivory tower, but stems from the earnest passions of Director of Operations Sam McKinney and of the Echobox engineering team. Echobox’s founders are admitted audiophiles themselves, happy to approach music portability as steadfast allies of all things hi-fi. The Echobox press videos start making their case for the Explorer with an admission of fact all of us audiophiles know to be true just by looking around us: for the majority of people on-the-go, audio quality is in a depressing spot these days and simply must be rescued. Although any new announcement of a handheld device isn’t exactly going to stop the presses these days, Echobox is committed to positioning their new Explorer device as the lifeline that could reset the mobile paradigm for a entire generation of new music lovers. Priced at $599 certainly the Explorer is not a given for every household, but is within reach if consumers agree on making quality a priority and deem the product worthy. So what exactly is the Explorer and what does it do? The Echobox Explorer is a portable high-fidelity audio player geared for modern times with Wireless Connectivity, Wi-Fi (802.11 a/b/g/n), Bluetooth (4.0), DLNA, and set to run on open Android Marshmellow 6.0 software. By making the calculated choice to run the Explorer player software on Android’s platform, Echobox has created a true streaming device. Echobox is banking that its patrons are likely sick of Apple’s rigidity and micro-management of end use and deliberately makes it a point to offer users choices whenever possible. For starters, users can decide whether they will option to use a stock Android interface or an easy to use proprietary Interface designed by Echobox, creating a good first impression in terms of freedom of choice..